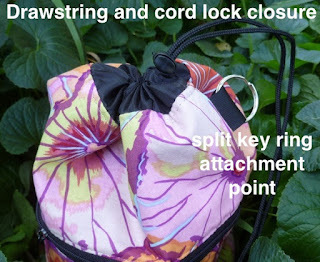 The Spinny is a padded case with a drawstring closure designed and sized to hold a drop spindle up to 12" tall. 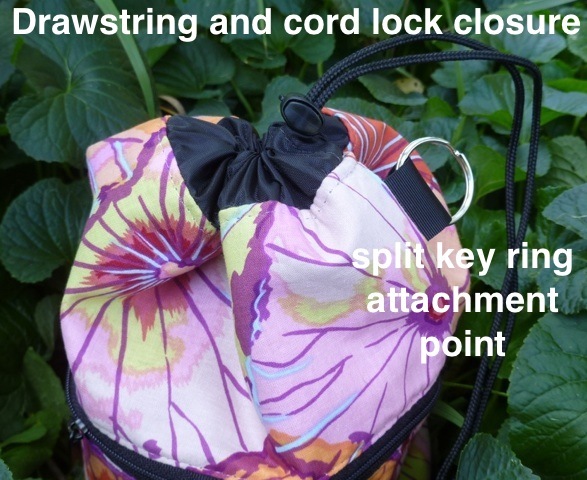 On the side is a key ring that allows you to attach a shoulder strap, a wristlet or a carabiner, which are available as add-ons when you check out. The Spinny is 14" tall and 5.5" in diameter. See all the Spinnies in the shop here.